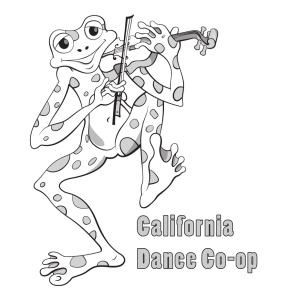 Here is a list of bands who have played at California Dance Co-op dances. Known for it’s high energy and innovative approach to traditional music. Kira is an electrifying young fiddler from So. Cal. who trained as a classical violist. As a teenager she took up the fiddle after hearing traditional Irish music on NPR’s weekly Celtic music program “The Thistle and Shamrock”. Kira learned much of her music from the community of musicians at the Scoil Gheimhridh Frankie Kennedy in Donegal. Jimmy Murphy is one of the most sought-after Irish-style guitarists and mandolinists in So. Cal. He grew up in Anaheim Hills in a house full of music and came to traditional music after picking up an old fiddle. In 2001, he traveled to Japan, where he worked as a musician for the Walt Disney company and Universal Studios. Laura is an exceptional swing fiddler and singer who has pleased L.A.-area dancers on many occasions. Her unique improvising inspires dancers, and the dancers’ energies move Laura to even greater creativity. Rhythm Method is known for both its swinging contra and square dance music as well as English Country Dance. We are available for dances, parties, street fairs and festivals.